Just like balancing your car tires is maintenance that should be performed periodically, rebalancing your portfolio is a healthy activity that can be done to improve your investment returns. Rebalancing is the process of realigning the weightings of the investments in your portfolio of assets. We do this by periodically buying or selling assets in your accounts to maintain the original, desired strategy. Now I know that when you think of balanced you think of a 50/50 split; however, this is not always the case. Rebalancing is just the term to describe bringing your portfolio back to the original allocation that was desired. The stocks, bonds, and funds in your portfolio will have gains and/or losses over time that vary and change with market conditions. Rebalancing is used to ensure that your portfolio is exactly how you it was planned to be. Not too aggressive and not too conservative than what was intended. It can also be used to adjust your portfolio to your investment objectives as they change over the years. Rebalancing also helps you become a disciplined investor. Let’s say you have 65% of your investments in stocks and 35% in bonds. When your stocks are performing better than your bonds, it is tempting to want to let those securities be the bulk of your portfolio, however now your portfolio allocation may have changed to something like 80% stock, 20% bonds. This new allocation doesn’t stick to your original allocation strategy. You are taking on more risk and when those stock start to underperform your portfolio will take a larger hit than it would have if you would have rebalanced back to your original allocation. The same works if the opposite happens. 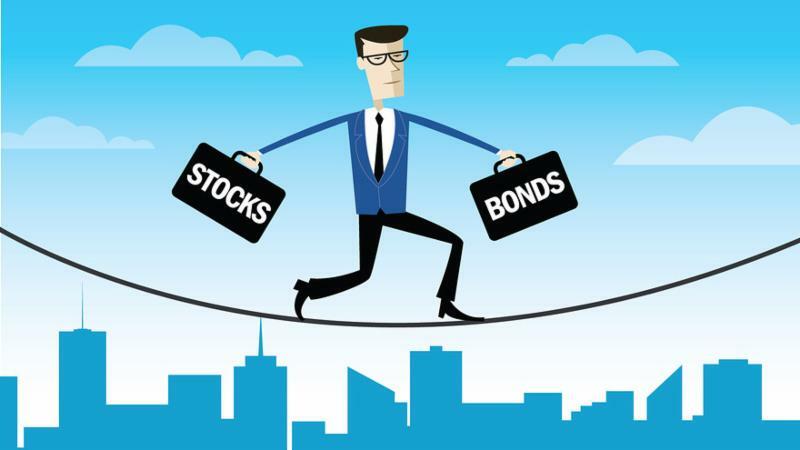 If you’re a more aggressive investor, but bonds have been outperforming your stocks and are starting to become the bulk of your portfolio, rebalancing will make sure that you are still taking on the risk that you seek. Rebalancing prevents this and keep you disciplined. It forces you to buy things low and sell things high and it helps you stick to your investment objectives and principles. It also keeps your portfolio less volatile.